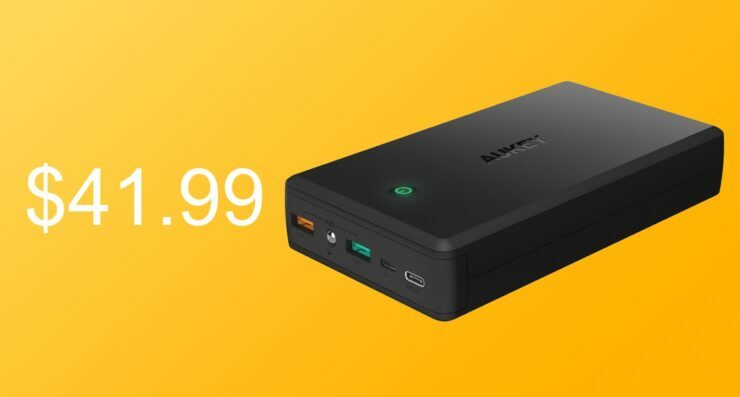 This massive 30000mAh power bank from AUKEY is essentially a mini power station for your backpack. It has a discount attached that makes it even more appealing today. 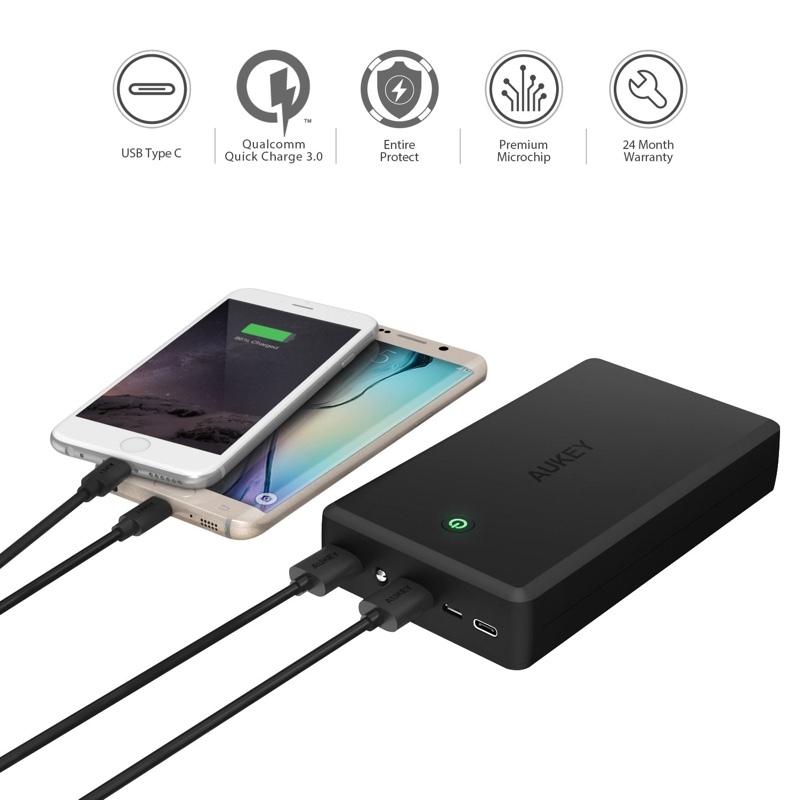 We share deals on power banks from time to time here. But all those power banks that we do end up featuring always have a great selling point. For example, this one from AUKEY has a massive 30000mAh capacity, but happens to be USB-C as well. That large capacity battery and USB-C is not the entire story here, though. It even features two regular USB-A ports for charging anything from a GoPro to a tablet, and one of those ports can pump out 18W of power thanks to its Quick Charge 3.0 certification. So, if you have a device like the Samsung Galaxy Note 9, Galaxy S9 then you expect to charge up rapidly using the specially highlighted orange port. The USB-C port we mentioned is capped to 15W of input and output, which might not sound like a lot, but those extra watts paired with a compatible device mean minutes saved while charging up from zero to full. If you are not taking the USB-C route at all, then there’s a Micro USB port baked in this power bank as well, allowing you to charge up the battery itself at a rate of 12W. Basically it’s a good idea to invest in a USB-C charger right about now, otherwise you’ll end up using up a full day charging up the power bank itself. Usually, this power bank costs $60, which is somewhat steep and justified at the same time. However, once you enter the discount code AUKEYR46 at checkout, then the price falls down to a reasonable $41.99.